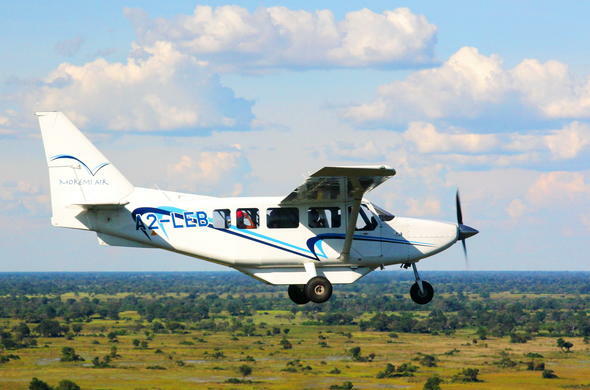 This 3 day Fly-in Classic Kwando River Escape Safari takes you to the banks of the wild Kwando River, overlooking the Mudumu National Park and the Namibian Caprivi Strip, in Northern Botswana. 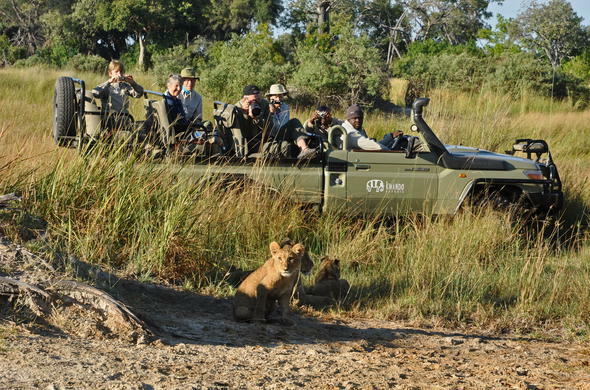 This Botswana safari package includes flights ex/to Johannesburg without set departure dates. The 3 day Classic Linyanti Package allows you to explore the stunning wildlife of a private Kwando Concession in the Linyanti region of Northern Botswana. This wilderness of open savannah, woodlands and wetlands is home to many predators such as Lion and Hyena. In winter months thousands of Elephants move through the area, so you'll have good sightings of these gentle giants. On this Botswana holiday you will set out on daily game drives which will allow you to see magnificent African wildlife. The tall cathedral Mopane trees in the central areas of the Linyanti are home to rare and endangered animals such as Wild Dogs and Sable Antelope. 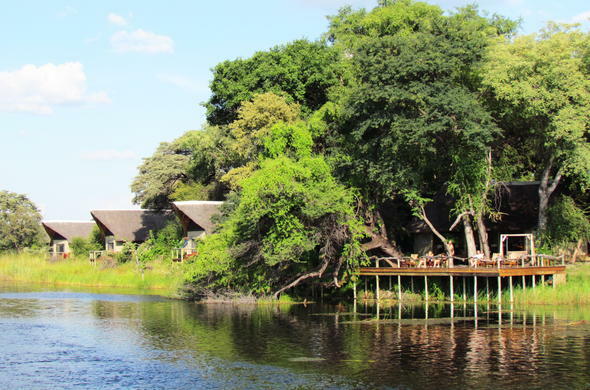 Your lodge overlooks a peaceful lagoon on the Kwando River. This enigmatic river flows into the Linyanti Wetlands where it changes direction and becomes the Linyanti River. Experience the thrill of cruising down the river and watching Elephant come down to drink as well as dodging Hippos. Set out on early morning game drives or explore the flora of the bush on intrepid nature walks during which you might track Impala, Zebra or Giraffe. You will get to see many of the small animals such as Mongooses and the amazing birdlife of the region such as Ground Hornbills and many raptors. This 3 day classic Linyanti, Kwando Safari starts in Johannesburg where you will board a flight to Maun. After that you will catch a light aircraft flight to your safari lodge in the Linyanti region. This flight is a wonderful chance to scope out the picturesque landscape of northern Botswana and see large mammals such as Elephants from the air.You will be met at Linyanti by your guide for the trip and taken to your lodge in time for a tasty lunch. You can then have a siesta before enjoying a delicious afternoon tea. After which you will head out on your first evening game drive where you could see Lechwe, Eland and Wildebeest among other animals. You will stop in a scenic spot for sundowners, followed by a night game drive to see nocturnal inhabitants such as Leopards. Back at the safari lodge, you can enjoy a tasty African inspired dinner served round the campfire. You will have an early morning wake-up call, followed by a light breakfast, before you head out on your morning game drive during which you might see Lion, Buffalo and Elephant, as well as many species of plains game. You'll return to the safari lodge about mid-morning and enjoy a delicious brunch after which you will have time to relax and watch the Elephants come down to drink at the river, or watch the Spotty Necked otters playing in the waters in front of the lodge. You might be lucky enough to catch sight of the resident Wild Dog pack - this is one of the best spots in Botswana to see these rare animals.In the afternoon you could set off on a sunset cruise down the Linyanti River, which is a great way to go game viewing and have a good look at the resident Hippos and Crocodiles. You'll enjoy refreshing cocktails before heading back to camp for a delicious dinner. On the final morning of your 3 day Classic Linyanti, Kwando Safari you will have just enough time for one last morning game activity and a delicious breakfast. You will be transferred to the airstrip before your flight to Maun. From there you will catch your international flight to Johannesburg O. R. Tambo Airport. The rates are calculated on a 3 day Classic Linyanti Package for 2 guests sharing in an en-suite tent, all inclusive of meals, game viewing activities and scheduled flights ex/to Johannesburg O.R. Tambo International Airport. 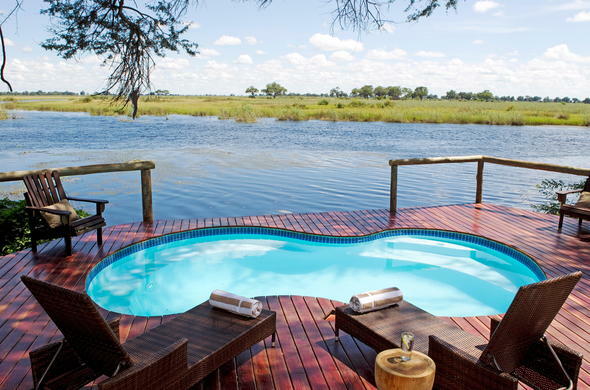 This Botswana package can also be combined with a stay in the Okavango Delta and the Central Kalahari or the Nxai Pan.